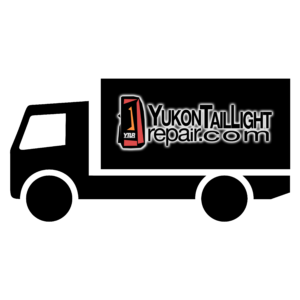 FAQ | Yukon Tail Light Repair | How to fix Yukon tail light? 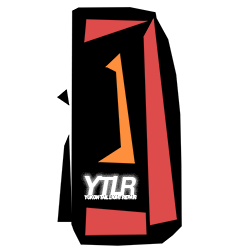 Open 24/7! how to fix Yukon tail light? Have a look around. Click the button below to navigate to our list of services and in-stock options that will get you back on the road with these tail light repairs behind you, literally! Click below and let's get started. Fix your Tail light Now! We need your tail light for one day to complete the repair. Example: If we receive it on Monday, we repair it, then it ships out of our shop on Tuesday. Refurbished Tail Lights – we have it shipped out of our shop within 24 hours from purchase/approved payment. is there expedited shipping ? the warranty, how long is it good for? Our work is covered by a LIFETIME warranty, or as long as you own the item, so you never have to worry. who should i use to ship my Package ? If you are in the MidWest, Spee-Dee Delivery Service, Inc. is a great option for speed and price. We also work with USPS, UPS, and FedEx. Click on the appropriate button on the products & service page to be directed to the secure PayPal transaction. Follow the prompts. Or you can also include a money order or personal check with your shipment – please call or email us if you choose to pay this way so that we can be on the look out for your package. what do i put in the package ? Please include – inside your package – your full name, current return shipping address, and phone number (just in case we need to get in contact with you). And if you have opted for expedited shipping, do not forget your prepaid shipping label. Oh yeah, and the well bubble wrapped tail light assembly that you want repaired! Can i remove the tail light assembly ? Removal and reinstallation is a simple DIY process – PROCEED WITH CAUTION AND AT YOUR OWN RISK. Several videos online show exactly how this is done. A flashing needs popped-off, two screws removed, and then the assembly gets pulled toward the rear/away from the Yukon. There are two pins on the tail light assembly that will pop loose from the vehicle body. Once you have the assembly removed from the Yukon body, twist+pull the reverse bulb to remove and unclip the pigtail connector from the rear of the tail light assembly. You do NOT need to include the wiring harness with your package. We have hundreds of customers that have done this process themselves, but if you are not comfortable, just ask around, there’s a handy-indivual that can’t wait to lend a hand! What's the best way to box the tail light ? Protect the lens from scrapes and scratches, during shipment, by wrapping it tightly with plastic or bubble wrap. We recommended 1/2″ bubbles – bubble wrap. Then wrap the tail light with more bubble wrap before placing it in a good size box. We recommend a shipping box that is 18″x12″x12″ for one tail light, and 22″x22″14″ for two tail lights. You could also take your tail light to your preferred pack n’ ship retailer – we still recommend that you check that they package and insure the shipment to your liking. where do i send it ? That’s right, this is the same Speedometer Repair Guy that thousands have trusted their automotive electronic repairs with for over three decades. We have been supplying dealerships, auto repair shops, and auto salvage yards with the same products and services available direct to you! Don’t pay dealership prices! Do I need to insure the package ? We recommend insuring your shipment for a minimum of $300 (for one tail light) and $600 (for two tail lights). EVERY tail light that we ship back to you is insured $900.